Desctription: Alternative asset manager based in Los Angeles is seeking to hire a Data Analyst. Responsibilities include resolving data research issues, preparing security data flow presentations, and participating in special projects. Qualifications: 3+ years experience in accounting, compliance, or portfolio accounting. Bachelors degree preferred. 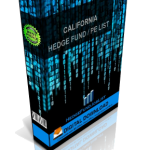 Description: Hedge fund in San Francisco is seeking to hire a hedge fund intern. Internship responsibilities include helping portfolio managers with general tasks and assisting in evaluation investment opportunities. Qualifications: Bachelors degree in math, statistics, engineering, computer science or related. Strong academic record and test scores required. 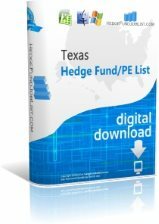 Description: Multi-billion dollar hedge fund in San Francisco is seeking to hire a Senior Hedge Fund Analyst. Responsibilities include analyzing fundamental investment ideas from the the sales staff. Qualifications: 10+ years experience required. Strong academic background.